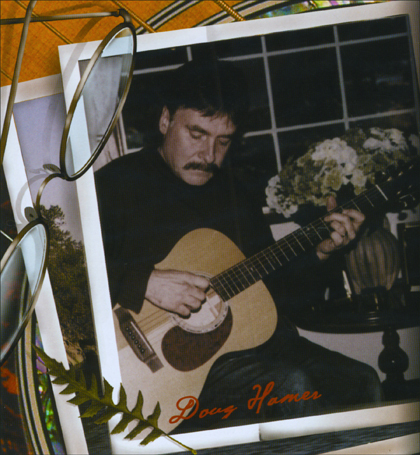 Doug Hamer: Solo fingerstyle guitar and beautiful impressionistic instrumentals. 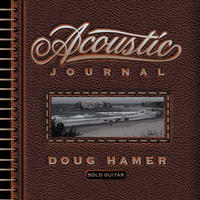 Growing up in the beautiful Pacific Northwest, Doug Hamer began playing guitar and writing music in his early teens. His early musical influences were Chet Atkins, the Beatles, Paul Simon, Jimi Hendrix, Todd Rundgren and Pentangle. He studied classical music, composition, and music theory at Olympic and WWSU, with his later influences including J.S. Bach, Bola Sete, John Renbourn, Lenny Breau and Ralph Towner. Doug Hamer is an accomplished finger-style guitarist and melodic composer. It is often said that he literally paints his music with color, texture and the many moods of nature. His life interests include a passion for horticulture, his wife and best friend; Children's book Illustrator, Bonnie Hamer, guitar collecting, landscaping, hiking, and photography. Doug still performs in the greater Seattle area doing fund-raising events for a variety of charities, with one of his favorite musical highlights being his featured appearance on KCTS TV, a PBS station in Seattle, Washington. 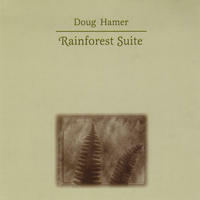 Recently, Doug's album "Rainforest Suite", came in at number 11 on Ireland's Top New Age album play list for 2005. With his love of nature and his Celtic roots apparent in his compositions, Doug's listening audience often finds his timeless music both relaxing and inspiring. Doug Hamer lives in Washington, USA. Tagged as: Alt Rock, Folk-Rock, Country, Instrumental Rock, Acoustic Guitar, Acoustic Rock, Daydreaming.